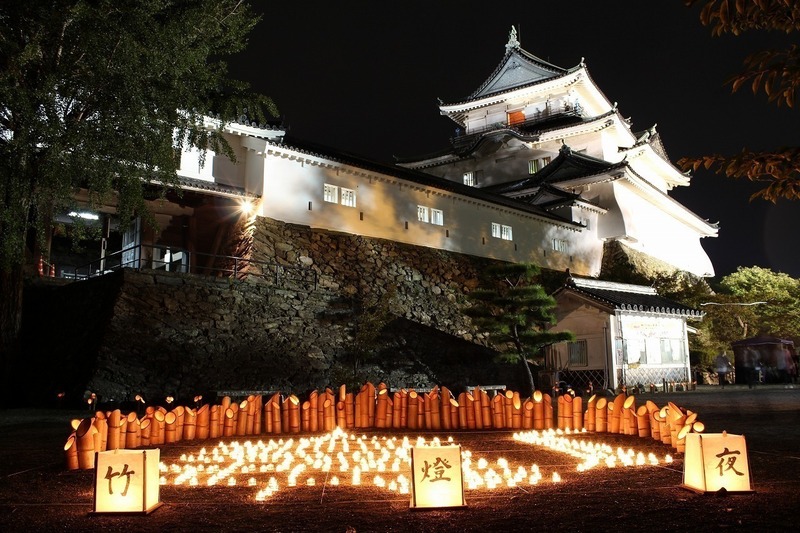 Started in 2006, the Wakayama Castle Machinaka Candle Illumination Taketoya is a fantastical event hosted in the downtown surrounding Wakayama Castle where visitors become engulfed in the warm and tender light of the "Taketoya", an ensemble of 8,000 bamboos and candles. Please come and experience the magical night that is born from the lighting of the Taketoya. Event date and time: Every year around autumn season. From 18:00 to 21:00. *Suspended in case of rain. Event place: Wakayama Castle and its surroundings. Inquiries: Please send any questions regarding schedules and other details to the address below.